As a daycare owner, your focus is always on the children, but collecting tuition payments is critical for your business. It may be the least enjoyable part of the job, but that cash flow is what allows you to continue providing high-quality care to the students that attend your center every day. Late payments can hold your daycare back, and there is never a good time to bring it up with parents who have overdue accounts. Adopting automatic payments, providing parents with frequent reminders, and being flexible with the payment methods you accept will help your daycare adapt to meet the needs of today’s parents. Collecting tuition payments has always been a thorn in the side of daycare owners. It’s a personal interaction that can be awkward, but leveraging a customer-oriented, technologically savvy and cost-conscious solution will make collecting payments easier and less stressful for daycare owners. Today’s young parents expect an experience that is both comfortable and convenient and the ability to make secure payments online provides precisely that. Mobile devices are their digital wallet, and 52% of Millennial parents never write checks. Making your daycare billing process more convenient will improve your chances of collecting payments on time. The most common interaction with parents occurs during pick-up and drop-off hours, but those are also a hectic time for child care providers. Providing parents with more options for making payments means less chasing when payments are late. A focus on convenience carries a lot of weight with millennial families. Providing them with the option to set up automatic payments or make payments with just a few clicks of the mouse can strengthen your brand and set it apart from the competition. Compared to past generations millennial parents look for similar qualities as far as child care goes. They want a safe environment for their child, quality child care professionals to lead the way, and for there to be a focus on their child’s educational growth. However, what is changing between generations is how they want to interact with your business. Everything is routed through mobile devices these days, especially finances and communication. Providing frequent reminders and premier customer service by leveraging multiple channels is one way to avoid the burden of overdue bills. Sending an email or text message to confirm a successful payment can be valuable for record-keeping purposes so that there is no miscommunication, and reminders about upcoming payments will keep their daycare bills at the top of each parent’s mind. In the event of an overdue bill, these channels can be used to keep parents up-to-date on the status of their bill as well as any late fee’s that might be building up. It’s never an easy conversation to have, we know it can be awkward. However, Tuition Express is an all-inclusive, easy to use system that enhances your lines of communication with parents and it will help your daycare stay on schedule for collecting payments. Perhaps the most impactful result of enhancing your payment processing capabilities with Tuition Express is the versatility you gain. It provides parents with a wide range of valid payment methods, and the associated fees are lower than any other processor. 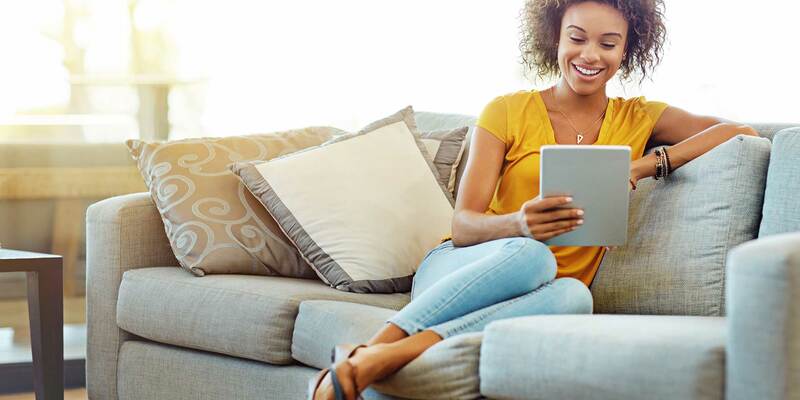 Offering a variety of options for families to make payments with the lowest average fee on the market as well as providing them with secure online access to their transaction history is something that no other processor can offer. Expanding your daycares accepted methods of payment will not only improve your cash flow, but it will also improve the interactions that parents have with your daycare. Collecting tuition payments consistently and avoiding the buildup of overdue bills is integral to running a successful daycare. The benefits of using Tuition Express discussed above combine to make collecting payments easier than ever before. Learn how Procare can help you track family data for your daycare. 1. Happier Parents- Parents are able to make payments at any time on any device and have access to financial statements when they need them. 2. Time Savings - Save HOURS every month by automating your billing and processing with Tuition Express. Procare has been nothing but very helpful every time a call is made. They do not make you feel rushed or that it is a problem. They are there to listen to the question and answer it immediately.